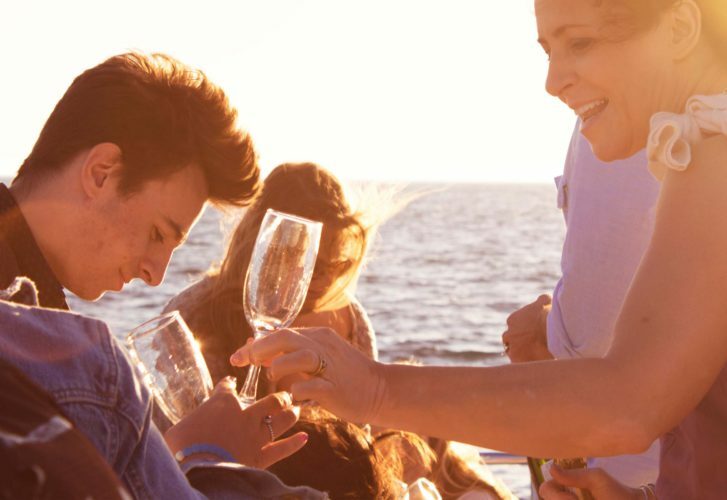 If you are in search of a unique way in which to experience the best that Cape Town has to offer, then book a sunset champagne cruise today. This cruise is one of our most popular cruises, and for good reasons. The Tigger 2 Royale has ferried thousands of people to the most beautiful views that Cape Town has to offer, and we look forward to welcoming you aboard as well. Our sunset cruise takes you to Clifton 4th Beach or, depending on the weather on the day, we take you all the way to Table Bay. Once we reach the destination, you can sip on a delicious glass of champagne. We then slowly cruise back as the sun sets. It truly is a first-class experience, with the 12 Apostles and Table Mounting framing the backdrop exquisitely. It is by far one of the best cruises to enjoy if you are a romantic at heart. If you are in the mood for something more substantial than a sunset champagne cruise in Cape Town, then we have you covered. For a unique venue to host your special occasion, join us for lunch or dinner aboard the Tigger 2 Royale, and treat yourself to an experience of a lifetime. Our lunch and dinner cruises are revered and famous for many good reasons. We provide a choice of duration, and a variety of menu options to cater to all tastes. Enjoy a scenic bay cruise that departs from the V&A Waterfront, and take in the beautiful views of Lions Head, Table Mountain and Signal Hill, as we slowly cruise our way along the coastline. We either drop anchor in front of Clifton 4th Beach, or Granger Bay, depending on the weather of the day. If the weather and ocean conditions are not suitable, we return to the mooring at the V&A Marina, where you can relax and indulge in a stunning luncheon menu of your choice. For our popular dinner cruise, we depart from the V&A Waterfront, and enjoy a scenic bay cruise with absolutely stunning views of Signal Hill, Table Mountain and Lions Head. We cruise along the coastline and admire the spectacular Cape Town sunset. There is a variety of menus, ranging from the basic braai menu, and upmarket canapés and sushi platters, to a more extensive 4-course dinner. We also cater for up to 65 dinner guests opting for a buffet-style menu, or canapé platter. Let us help you enjoy a truly memorable cruise experience, whether you are looking for a sunset champagne cruise or dinner cruise in Cape Town. If you would like to learn more about our cruise company, and book your cruise well in advance to avoid disappointment, contact us today. Our team of seasoned reservationists is at hand to provide you with all of the advice and service needed to secure your booking.